A fake U.S. embassy in Accra, Ghana that was issuing both counterfeit and legitimate U.S. visas was shut down over the summer after operating unhindered for about a decade, the U.S. State Department said. The building of the sham operation flew a U.S. flag -- and even had a picture of President Barack Obama hanging inside. “Signs indicated that you were in the U.S. Embassy in Ghana. However, you were not,” the State Department said on its website. Those in charge paid corrupt officials to both look the other way and obtain legitimate documents so they could be doctored. While operating, those involved issued fraudulently obtained, legitimate U.S. visas, as well as counterfeit visas and false identification documents -- for $6,000. The State Department didn’t say if anyone entered the U.S. using the visas, or how they were obtained by criminals. The operation advertised using billboards and flyers, was opened three days a week and had customers from Ghana and neighboring countries Togo and Cote d’Ivoire. It would shuttle people to and from the building rather than offer walk-in appointments, the State Department said. Over the summer, assistant regional security officer investigator at the actual U.S. Embassy in Accra shuttered the fake embassy in cooperation with partners including Ghanaian police and detectives, according to the State Department. 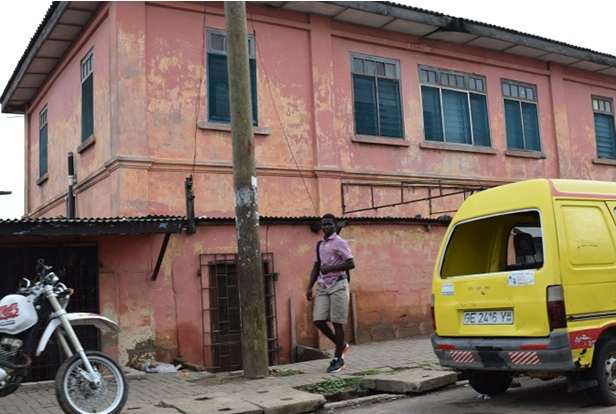 It said an informant gave the U.S. investigator a tip about the sham embassy and another fake embassy in Accra claiming to belong to the Netherlands.